The financial sector is being hit hardest. 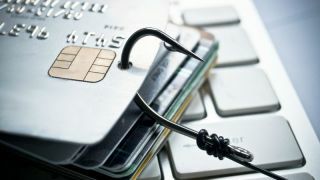 Phishing – a type of fraudulent activity where hackers ‘fish’ for information by faking their identities online, is on the rise. This is according to latest figures from Kaspersky Lab’s ‘Spam and phishing in Q3 2018’ report. The report states that there have been 137,382,124 detected attempts to visit phishing websites, which represents a 27.5 per cent jump compared to the previous quarter. It’s also more than half of the number recorded in the whole of 2017. It was also said that the financial institutions were the number one targets, with more than a third of attacks being aimed at banks, payment systems and e-commerce websites. This also hasn’t changed from Q2. Guatemala is the country whose citizens are most frequently targeted (19 per cent), taking the number one spot from Brazil (18.9 per cent). With 17.5 per cent, Spain is on the number three spot. “We’ve been witnessing a rise in the number of phishing attempts for a while now. Many factors influence such growth, like fraudsters’ ability to keep coming up with new schemes and tricks,” said Nadezhda Demidova, security researcher at Kaspersky Lab.